Speaking Volumes is a book club for the blind and visually impaired. They broadcast their discussions live from the Audio Journal radio studio in Worcester, MA. They have listeners around the country who listen online at audiojournal.net. Speaking Volumes selects only titles that are available through the Talking Books library as most of their participants require audio books. Listeners are encouraged to call in and participate in the discussion. 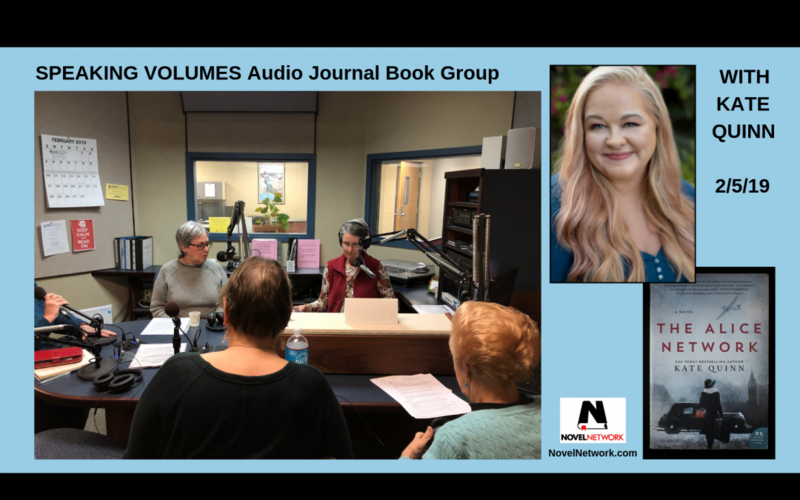 On TUESDAY, FEBRUARY 5, NovelNetwork book club manager Carol Sarafconn and her Speaking Volumes team discussed Kate Quinn’s THE ALICE NETWORK, and invited Kate to join the conversation. You can listen to the conversation here. ANOTHER SUCCESSFUL AUTHOR/BOOK CLUB MATCH made possible via NovelNetwork!